The second round of March Madness has just concluded and it has been a surprising round with lots of surprises. However, the way that the tournament format is designed makes it ripe for surprises and upsets. That is just what happened even as early as the Round of 64 games. There were plenty of exciting games that led to some upsets in the Round of 64. Some of the most notable of upsets include the highly touted Ohio State University when it fell to 11th seeded University Dayton on a close game 59-60. Another heartbreaker came when 3rd seeded Duke Blue Devils suffered early elimination from 14th seeded Mercer Bears. Still another upset occurred when 12th seeded Harvard stopped 5th seeded Cincinnati 61-57. The same thing happened to Oklahoma versus North Dakota State as the 5th seeded Sooners suffered an upset over the Bisons 75-80. Other notable upsets during this round include 10th seeded Stanford defeating 7th New Mexico 58-53 and the 11th seeded Tennessee outscored the 6th seeded Massachusetts 86-67. 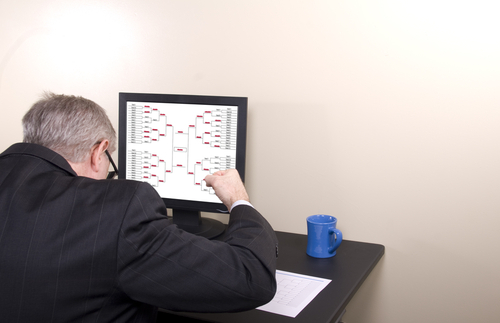 With all these upsets happening in the early rounds, Warren Buffett’s $1 billion Bracket Challenge seems to be safe for this year. The Round of 32 still came up with more upsets. Surprising Cinderella teams Dayton and Stanford continue their quest to get into the elite 8. The Dayton Flyers upset 3rd seeded Syracuse on a squeaker of a game, 55-53. The Stanford Cardinals defeated the 2nd seeded Kansas Jayhawks 60-57. The 7th seeded Connecticut Huskies defeated the Villanova Wildcats 77-65. The 6th seeded Baylor Bears defeated the 3rd seeded Creighton Bluejays 85-55. The University of Kentucky Wildcats defeated top seeded Wichita State Shockers 78-76. Games in this round will be on March 28 and 29.